When you rent your property to a tenant, you are entering into a legally binding agreement. Both you and your tenant have certain responsibilities under Michigan law. 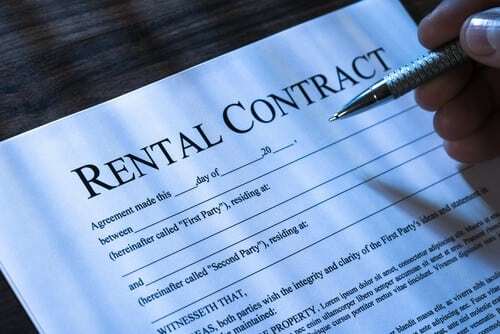 The signed rental contract can protect you in a variety of less-than-ideal situations that Michigan landlords often find themselves in. Here are 5 things you need to have in your rental contract. The lease must have the correct identification for the property. The property address and a description, including how many bedrooms and bathrooms the property has, is necessary to include in your rental agreement. You must identify the parties who are signing the lease, usually yourself and your tenant. If you are representing a rental company, the lease should name the company and any identifying information about the company. Arguably the most important part of a rental contract is the section that outlines how much money the property is being rented for and when the rent is due. You may want to include any grace periods you give your tenants. For example, you would want to include if rent is due on the 1st of the month, but a late fee is imposed only if the tenant pays after the 5th. Included in the lease should be the rights and responsibilities of each party. For example, the lease should state that the tenant has the responsibility to keep the property clean and damage free, and any other responsibilities they have, such as lawn care. Also include privacy statutes, such as giving the tenant 24 hours notice before you inspect the property. It is absolutely crucial that the rental contract is signed and dated by both parties. Without signatures and dates, the contract is null and void. Many landlords prefer their rental contracts to be witnessed or even notarized; however, it’s not necessary to do so under Michigan law. In order to ensure that your rental contract protects you in situations where your tenant has damaged your property, used your property for illegal activities, or fails to pay rent on time, consult with an experienced rental contract attorney. At Piper Legal, we can help you draft an iron clad rental agreement. Call today for a consultation at (810) 235-2558.